GM Tech2Win is an application version of the Tech 2 and CANdi (Control Area Network diagnostic interface) moduleTech2Win can be used during a vehicle road test, offering a larger screen with all of the Tech 2 tool functionality. 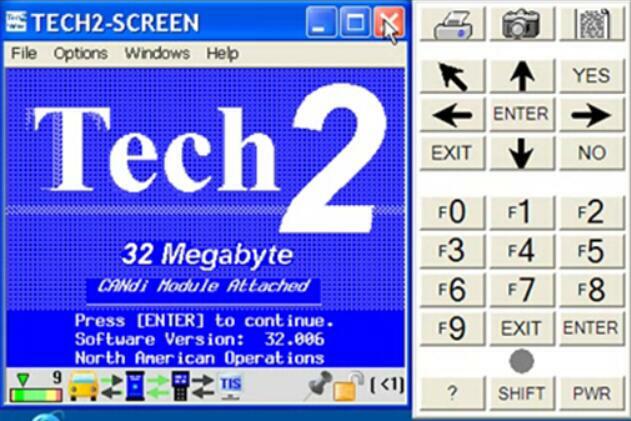 The Tech2Win application offers all of the features and functions of the Tech 2 for Opel, Saab etc. The software’s diagnostic features and reporting capabilities include reading and clearing diagnostic trouble codes, viewing data parameters, operating output controls, and executing system tests. Solution 1: if tech2win’license has expired, you need renew it, If you have TIS2web you should have a security icon you can click on.. Make sure tech2win is running in the background, just click ok at the E667481 error, you don’t even need the MDI plugged in for this either.. Once you follow the prompts thru the security process you’ll have another 30 days. Solution 2: If you don’t have TIS2Web, you also can modify the system time, attempt to get the new license.